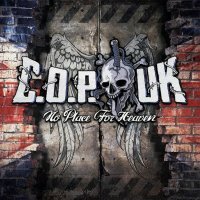 'No Place For Heaven' is the third album from the Sheffield-based band also known as Crimes Of Passion. Some changes are afoot with new guitarist Andrew Mewse and bassist Scott Jordan joining the nucleus of vocalist Dale Radcliffe, guitarist Charles Staton and drummer Kev Tonge that recorded previous album 'To Die For' in 2012. In addition, the sound has been augmented with the addition of a keyboard player, namely Jaded Heart, Circle II Circle and Tramp's White Lion man Henning Wanner, enabling the arrangements to carefully develop and shine anew. With that said, the biggest change comes with the sound. 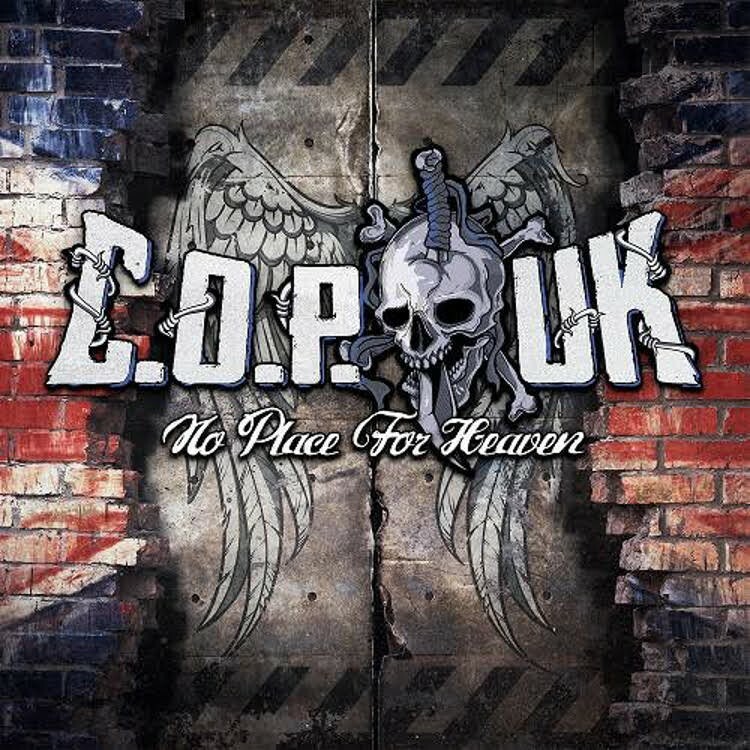 Traditionally a Melodic Heavy Metal band built on a British Steel foundation like their home city, this new material has a strong European influence, enhanced by Sascha Paeth's excellent production, and perhaps swayed by endless tours throughout the Mainland with the likes of Edguy and Helloween; it's here where C.O.P. UK have found their biggest audience. Anyone familiar with previous C.O.P. material will hear in the likes of 'The Core' and the relentless Metal of 'Halo' how their traditional Brit Metal sound has been imbued with this European character, to great effect. Yet elsewhere, C.O.P. have subtly taken their foot off the gas just a little, slightly curbing the Metal-edge attack and easing back on Kev Tonge's predominantly double-bass drum approach. This slight adjustment has enabled the melodies to permeate through their sound and emerge fully to the fore like never before, yet not to the detriment of their dynamics and power. The pacey, riff-driven Hard Rocker 'Catch Me If You Can', the dramatic 'Take It To The Grave', 'My Blood', 'Burn Hell' and the swirling-keyboard dominated 'One In A Million' manage to amalgamate huge sing-along choruses with stunning, muscular Metal rhythms, in a very similar style to how Eclipse and Pretty Maids blend melody and power. However, dazzling first single 'Kiss Of An Angel' is absolutely brimming with memorable, classy melodies throughout its six minutes of pure Melodic AOR brilliance. The three, surprisingly tender, ballads signify just how confident C.O.P. are with their new approach, 'No Man's Land' gently building from a subtle beginning into a dynamic Power-Ballad with a soaring chorus, the beautifully constructed 'Stranger Than Fiction' a true lighter-waving anthem, while the elegant 'No Place For Heaven' works especially well as a duet, performed with German female singer Cloudy Lang (Avantasia). Unlike Mainland Europe, the UK has yet to wake up to the allure of C.O.P. UK; with 'No Place For Heaven' that has to change. If you think you already know them, then think again. Even though it's released in January, I'll wager this could well be my "Top Album Of 2016". Sheer Magnificence. Click HERE to read an interview with C.O.P. UK, courtesy of Fireworks Magazine.